When you shop for a home treadmill, you may be drawn to a folding treadmill to save space. 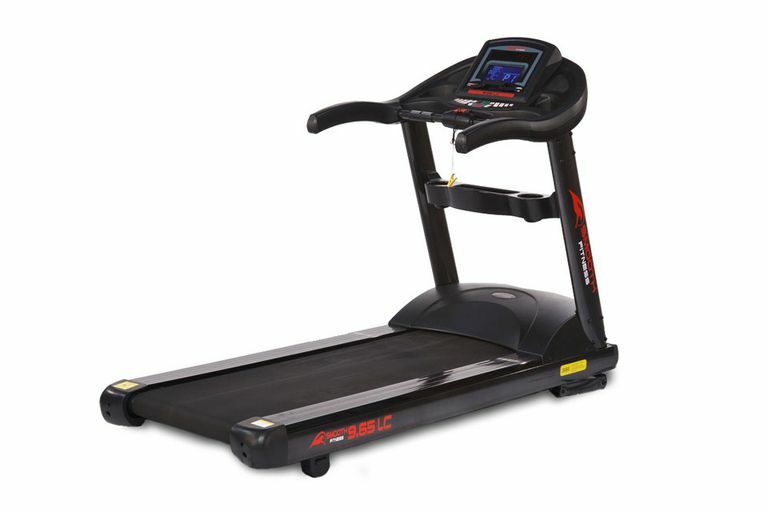 A folding treadmill is one where the running deck pivots up and locks so it takes up less space when you aren't using it. They also have wheels so you can move it to and from storage. Treadmill industry expert Fred Waters offers these tips and insights into what to look for in a folding treadmill. Fred Waters recommends checking treadmills for these factors when you start shopping for one to use at home. Space: Check the space requirement for the treadmill both when it is folded and when it is in use. Make sure you know how much space you have to dedicate to the treadmill, both when it is folded and when it is in use. Get out the tape measure and measure twice, buy once. Also, keep ceiling height in mind as you will be raised up several inches on the treadmill. If you are using it in a room with a low or sloping ceiling, that may be a factor. Stability: The rule of thumb is that the cheaper a treadmill is, the flimsier the frame is. As you look for bargains, you need to set a floor beyond which you won't go to sacrifice stability. The $1,000 level is about where you will see the biggest decline in solidity. Give any treadmill an in-person test to see how it feels for you. Walk, jog, and jump on it so you can see if it will give you a stable ride. Cost: If you plan to have the machine around for a reasonable amount of time, and intend to use it on a regular basis, then you are going to need to shell out a few bucks. Fred Waters recommends paying at least $1,000 for a treadmill you will use for walking workouts and set the bottom limit at $1,500 if you will be using it for running workouts. If that is still above your budget, look for good quality used folding treadmills that have been lightly used. How easy is it to fold the treadmill? The treadmill may say it folds, but it may be difficult to do so. If you have any problems with your back, neck, or knees this is definitely a consideration. Not only can it be difficult to fold the treadmill up, but it may also be a struggle to control the unfolding speed so it doesn't slam down. Being allowed to drop can place wear and tear on the parts. Look for treadmills that have an easy fold/unfold feature using hydraulics. This is an element that you need to try in person. If you can only shop online, read the reviews and post questions to real-life users for how easy they are to fold. Will you be moving the folding treadmill? You may want a folding treadmill so you can wheel it away to get it out of the way the rest of the day. How easy it is to move will be an important factor. Many treadmills require you to tilt the heavy treadmill back on two wheels to push it around. That may be more than you can handle. Again, try this in person or post questions online. Better yet, look for models where four recessed wheels come out when the treadmill is folded, making it much easier to move. Weight capacity: Fred Waters says the weight capacity listed by the manufacturer is probably more than it really should be asked to handle. Subtract 50 pounds to get a more reasonable weight limit so the treadmill will last longer. Heavier users take more of a toll on the motor, belt, rollers, and bearings. Warranty: You generally have to look no further than the warranty to know whether you are getting a better-quality treadmill. Fred Waters recommends a minimum warranty of one year of service, two years for parts, and five years for the motor. Just walk away from any machine that has only a 90-day warranty. There are a number of good brands that build folding treadmills. Fred Waters points to Sole as a good brand for quality. Whatever choice you make, what is important is that you use the treadmill to get healthy exercise. Which Type of Treadmill Is Better for You?